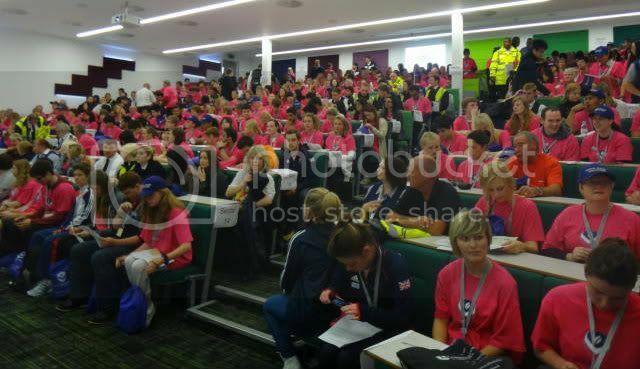 It was an early start at 7.00am but the lecture hall in the Edward Herbert Building was a sea of pink as, in spite of the cold drizzle all 325 volunteers were wearing their pink T-shirts. After briefing we set off to our various locations. David (my husband) and I were in Sector 15 which was the University Stadium. Quite a long walk on this vast campus but interesting to see how cord marking had been set up along the route to mark public access. By Elvyn Richards Hall there were cleverly stacked straw bales for sitting and standing on. We saw some Chinese students standing on top and waving union jacks while being photographed by friends. Should make interesting viewing back home! 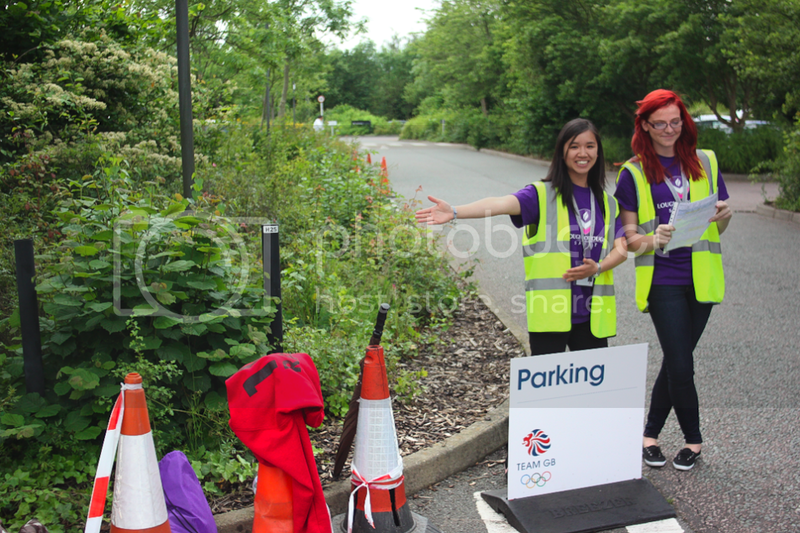 Once in sight of the stadium volunteers were posted along the route. 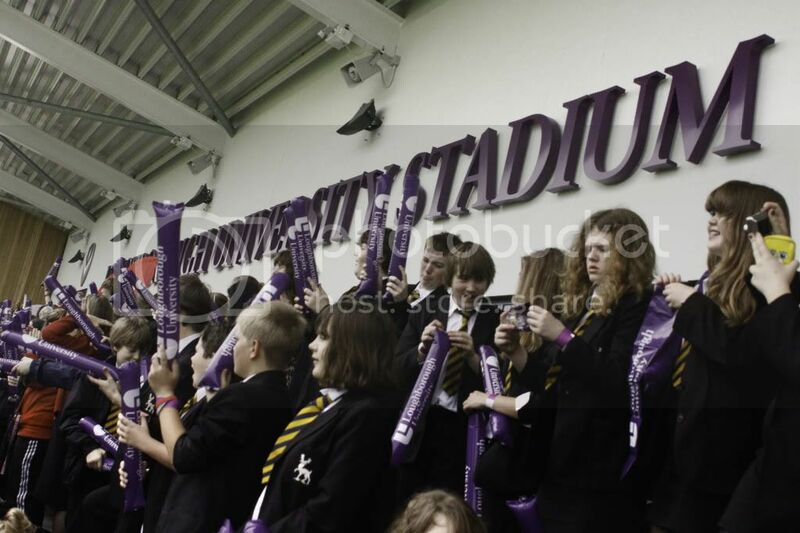 The stadium was the venue for school parties and the children were in a high state of excitement eagerly accepting the university flags, band-sticks and leaflets which we were handing out. The teachers, police and paramedics were all in good humour and the atmosphere was fun. The drizzle had stopped and the sun came out briefly. We were given the job of ‘holding the gate’ so only those with wrist bands, official kit, such as the GB Volley Ball team, their coaches, the aspiring athletes and coaches, hoping for a place in Rio in 2016, and a list of official guests were allowed in. If guests didn’t have official ID we were to put a blue pen cross on their hands which caused some laughs. The advance carnival parade came down the hill and into the stadium, past the flashing balloon flame and through the gate we were ‘guarding’, which gave us real close up views of their fantastic costumes. 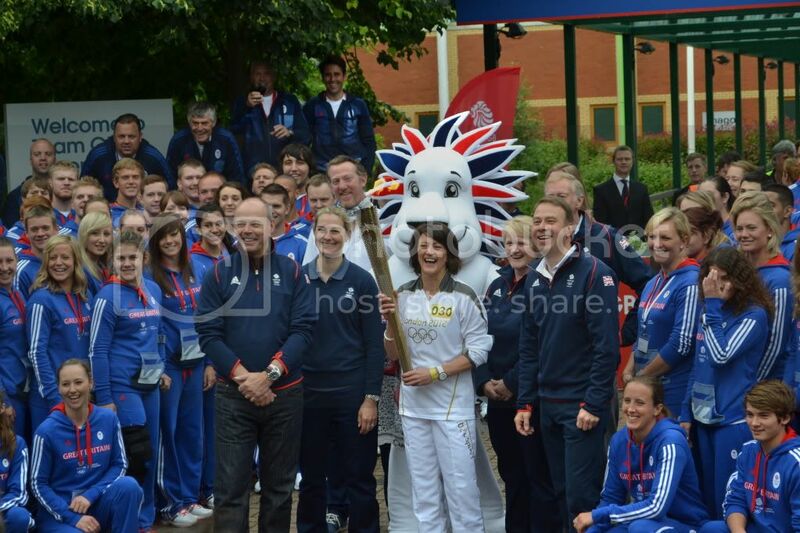 Then the real star of our section arrived, Audrey Cooper with her torch ready for its ‘kiss’. 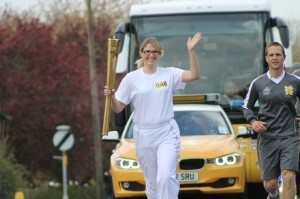 She is the coach for the Team GB’s Women’s volleyball team and comes from East Leake. 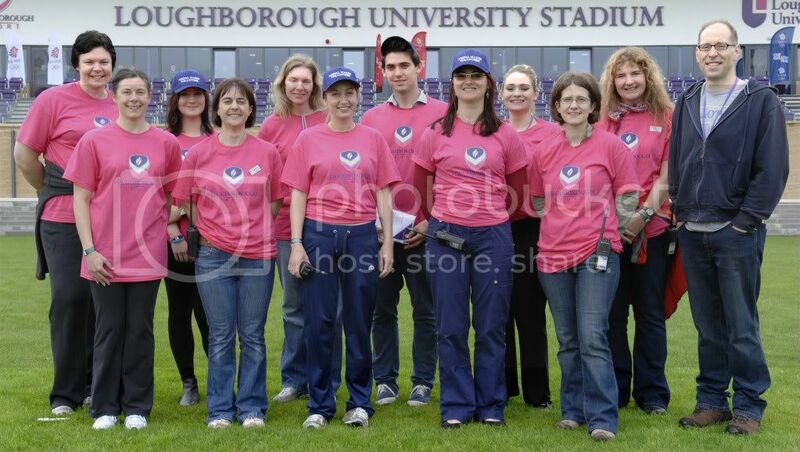 The whole team had come in full kit to support her – and we had let them in!! One of the Medal Makers volunteers had the exciting task of holding the ‘Torches Kiss Here’ banner and being right up close to the transfer of the flame. The flame runner for the previous stage came down the hill carried into the stadium by Johnathan Eley a winter Olympics speed skating world record holder to meet the array of cameras. Audrey then started her run and proceeded out of our gate and down to Sir Denis Rooke building. We stayed to see the children leave safely, then made our way back up campus where a variety of other activities were getting underway. We had a fantastic day and were sorry to leave at the end. and yet another exciting visitor! On Thursday 5th July some of the Medal Makers got a pleasant surprise when they were greeted by a visit from David Cameron, who was on campus as part of an official VIP visit. 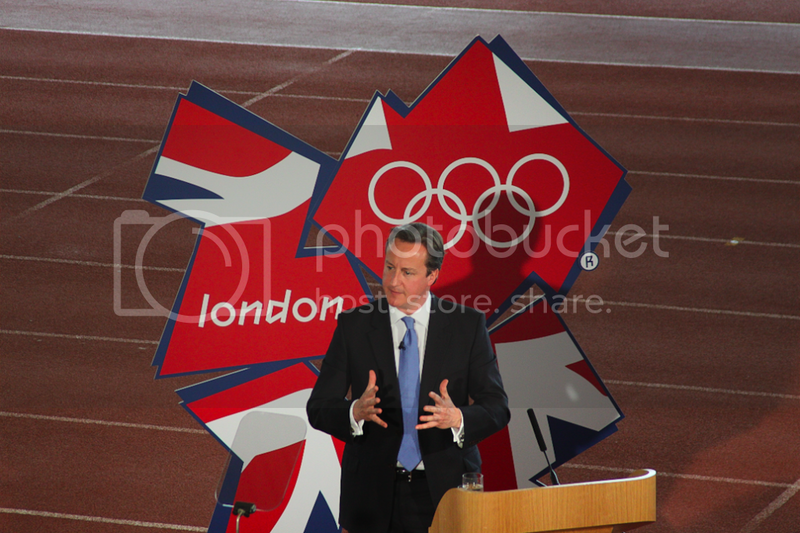 He spoke powerfully about the social legacy that he wishes the Games to leave, with particular reference to inspiring a culture of volunteering. 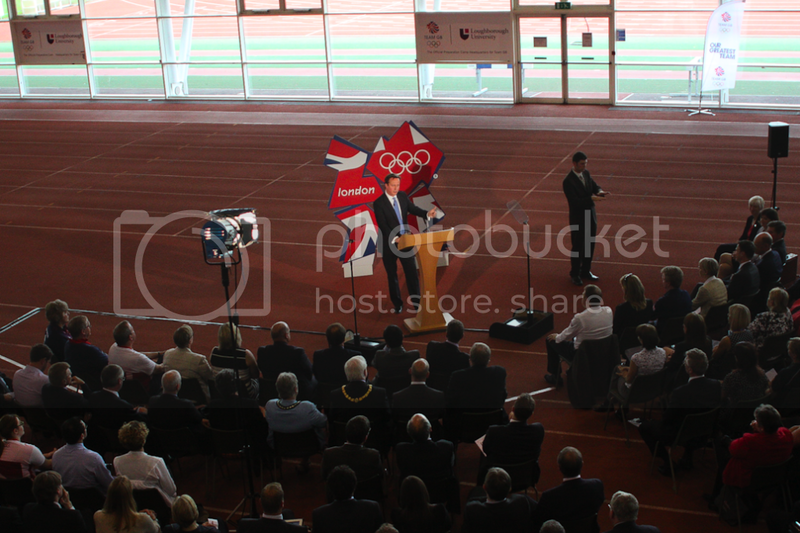 David Cameron who was at Loughborough to deliver a speech highlighting the important economic and social benefits the Olympic and Paralympic Games will deliver across the United Kingdom. 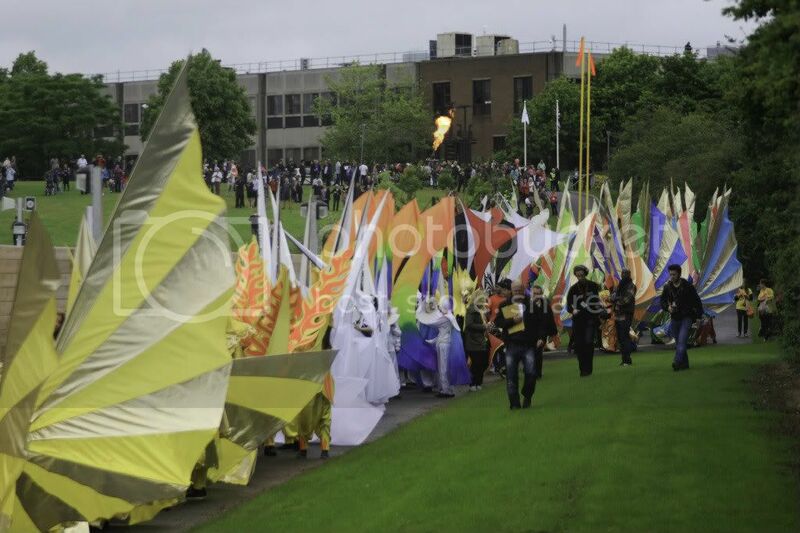 The Olympic Torch Relay came through Loughborough University campus on Tuesday 3rd July supported by Medal Makers volunteers. 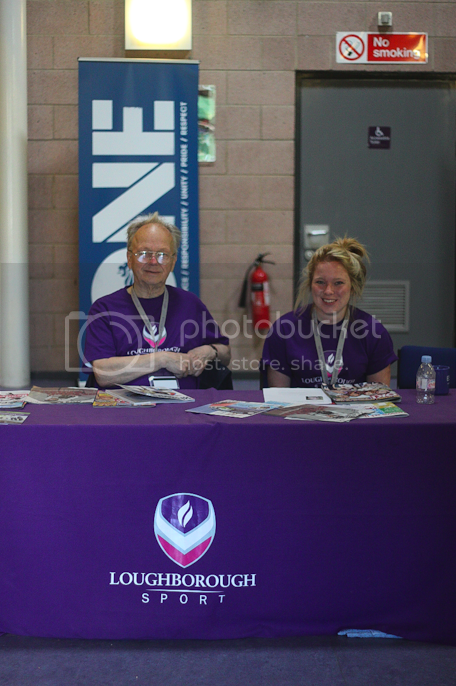 The event could not have proceeded as smoothly as it did without the Medal Makers’ help and support and so a huge thank you to all of the volunteers! This week we have deployed over 100 volunteers who have accumulated over 850 volunteering hours altogether! Medal Makers Receive Positive Feedback! Indeed, all Medal Makers have been commended for their professional and friendly manner and willingness to stay the distance in order to get things done. 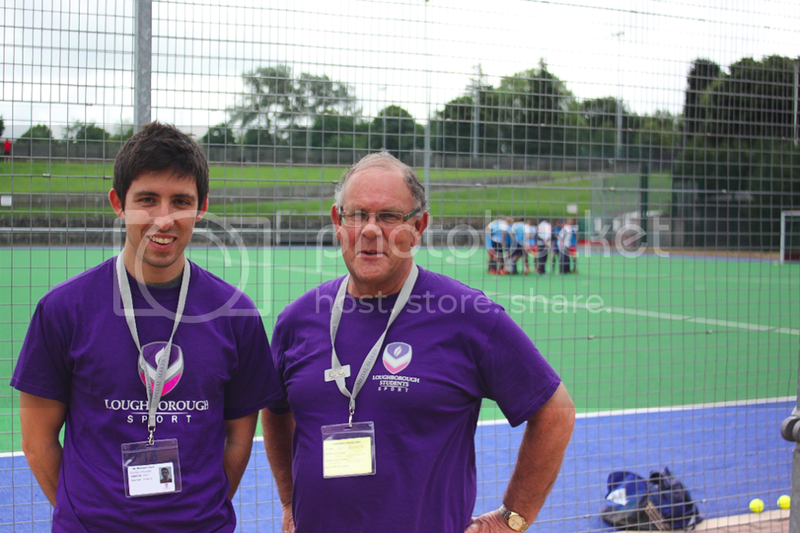 At the end of the first week for Team GB Preparation Camps and what a week it has been. There have been a lot of last minute changes placed on the volunteers but all have ‘gone with the flow’ and risen to the challenge. All the volunteers have been so adaptable to these changes. The BOA and other partners have been astounded by both the standard and commitment of Medal Makers and have asked that this be fed this back to all of the volunteers. The first teams have also been training – the Women’s Basketball Team were the first team to start their training programme as part of the Preparation Camp.